Oriental beauty, that’s what the Mondrain Sideboard is all about. Made by Spanish furniture house Lola Glamour, it exemplifies beauty, class, and elegance. Lola Glamour has earned a top status in the design industry for creating products which exhibit exemplary craftsmanship and fine detailing. Mondrain vocalizes the brand’s philosophy of catering to a global clientele with equal dedication and commitment. 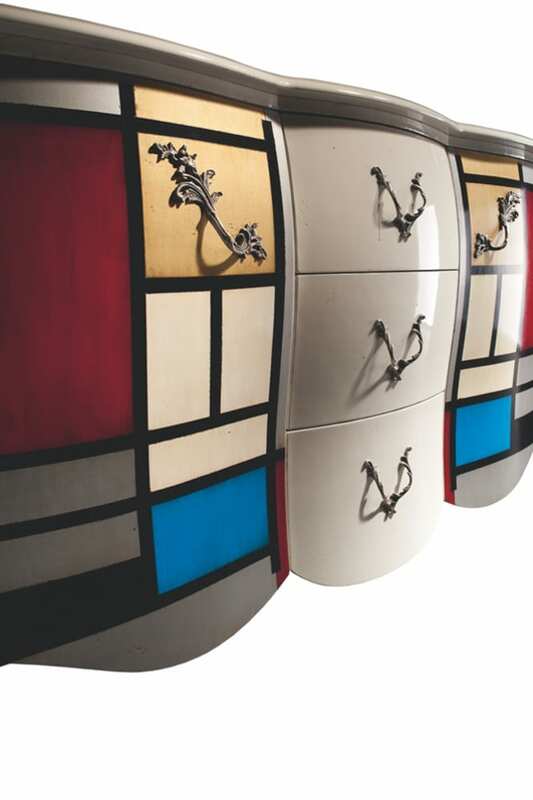 The beautiful, curvaceous form of the Mondrain Sideboard by Lola Glamour is inspired by Eastern designs. Its vibrant hues, proportions, and frontal facade further attest to this. The structure is carefully hand-sculpted and embellished with intricate, thoughtful details. Its drawer pulls and door openers are unlike anything you’ve ever seen. They look like metal flowers or plants. Mondrain stands on four pointy legs which slant slightly to the side. A lovely pattern adorns its front. It is enhanced by bright red and blue hues. You can get the cabinet in different finishes and color combinations as per your specific requirements. It also comes in a range of sizes. Mondrain makes a good fit for dining areas, living rooms, hallways, and open-plan living spaces. It is a piece you will be proud to show to your friends. When you want to add a hint of oriental design to your decor without making an overwhelming statement, get the Mondrain Sideboard by Lola Glamour. It will add stylish flair and enduring beauty to any room you put it in. Want to give your interiors an oriental touch? 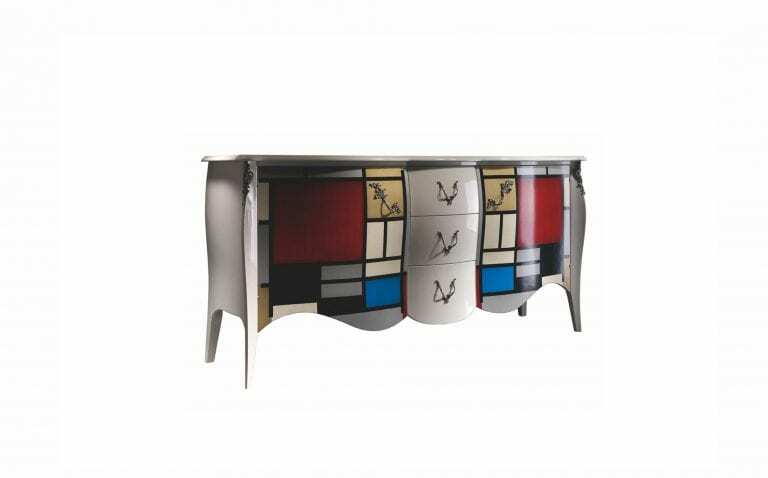 Why not get the Mondrain Sideboard?